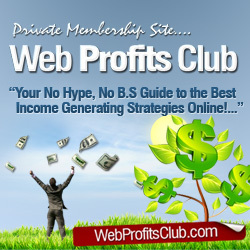 You are here: Home / Make Money Online / What’s the Best Article Marketing Strategy? What’s the Best Article Marketing Strategy? Everything in Internet marketing has a strategy attached to it. Whether you’re talking about graphics or joint ventures or an article marketing strategy, you want to have a plan of attack in place before you embark on a campaign that could cost you time, money or both. With article marketing, two primary factors are involved – quality and quantity. You can’t neglect either one if you want to have success as an article marketer. If yo churn out a high volume of crappy articles, then they won’t convert and your time will have been wasted. Likewise, if you take too long working on individual articles, you won’t see the kind of traffic you’d hoped for that will help you generate a nice steady flow of profits. So how do you come up with an article marketing strategy that works for you? When you’re just starting out, you can take the do it yourself route to keep costs low. But there are so many tasks you have to deal with each day, it may seem hard to get article marketing tasks finished. Start out slow. Plan to write one article per week –that’s 400 words total. At the most, this should take you about an hour. If you find that it takes you three or four hours to write an article, then you may need to shelve your article marketing efforts until you’ve completed a course on writing for an online audience. Once you have the time, increase your quantity to three articles per week, until you’re finally working on one article each day. That’s 365 articles a year out there working for you to pull in targeted prospects. Rotate the type of article that you use. For instance, on day one write a question and answer article. On day two, write a story article. On day three write a list article, and so on. Each week, check the stats on your articles and see which ones are converting better for you. Each month rotate the directories that you’re using for your article marketing campaigns. On month one, try EzineArticles.com. Then in month two, use Xomba.com, and so on. Your niche may convert better in one directory over another, so again, track the results. At the end of year one, analyze all of your articles to see which directory and type of article you’re ranking high in Google for – and which resource box is converting into click-throughs for you, too. The best article marketing strategy is one that provides the right balance between writing enough content and writing the right kind of content for your target audience. What works best for you may not be an exact duplicate of what works for another marketer. Internet Marketing - Information Overload! Top Three Reasons Why Article Marketing is a 'Must Do'!